- Quitting is different for everyone, so find an approach that will work for you. This may be either the cold turkey approach (stopping suddenly and totally) or a more gradual reduction in the number of cigarettes you smoke each day. Set a date to quit, and stick to it, however, make it sooner rather than later. Every cigarette damages your health. 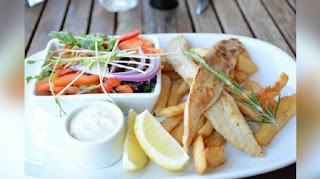 - Get as much support as you can from family, friends and work colleagues. Let them know you are planning to quit and ask smokers not to smoke around you or offer you cigarettes. Quitting with a friend can also be an excellent idea this enables you to share your feelings and encourage each other to quit. - Throw out all cigarettes, ashtrays, and lighters and anything else that might remind you of smoking. - Wash your clothes and clean your car and home to remove the smell of smoke. - Nicotine replacement therapy, such as nicotine patches or chewing gum, could be a good idea for those who smoke heavily or who feel they may need the extra help. There are also oral prescription medicines you can take on advice from your doctor. Talk to your doctor about what is right for you. - Plan ahead for situations in which you are likely to be tempted to smoke such as parties. 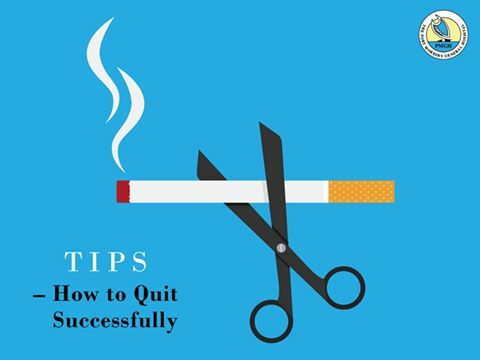 Try to avoid these situations in the early stages of your quitting program. - Write down all the reasons that made you decide to quit smoking, and carry them with you in case you need reminding! - Avoid alcohol as many people find it hard to resist smoking when they drink. - If you find you are losing motivation to quit, remind yourself of the many medical benefits of quitting! For example: did you know that after 1 year of quitting smoking your risk for coronary heart disease is about half that of smokers. - Think of the financial benefits! Have you considered how much money you could save by quitting smoking and being a non-smoker? 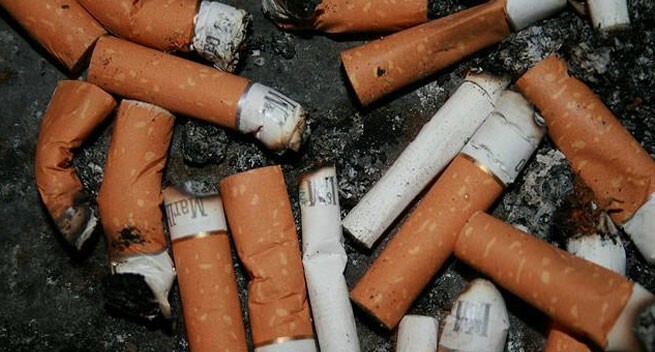 Cigarettes cost money, and the cost is increasing all the time. What could you do with all the extra money? Do something else: You could go for a walk, to the movies or visit a supportive friend. Try eating an apple, chewing gum or cleaning your teeth when you would normally have a cigarette. You could hold something else, such as a pen or beads to replace the need to hold a cigarette. Tip: Start exercising after you quit smoking! Exercise will not only act as a distraction from smoking it will release endorphins (the feel-good chemicals in your brain). This will also assist in creating new routines, help reduce nicotine cravings and get you on the road to better health. Remember that some activity is better than no activity but, before you start, it is advisable to discuss your physical activity plans with your doctor. 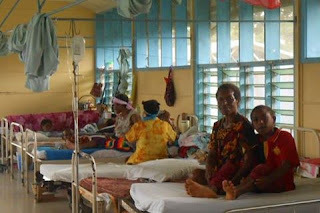 THE cobalt machine at the Angau Memorial Hospital in Lae is back in operation after almost a month. 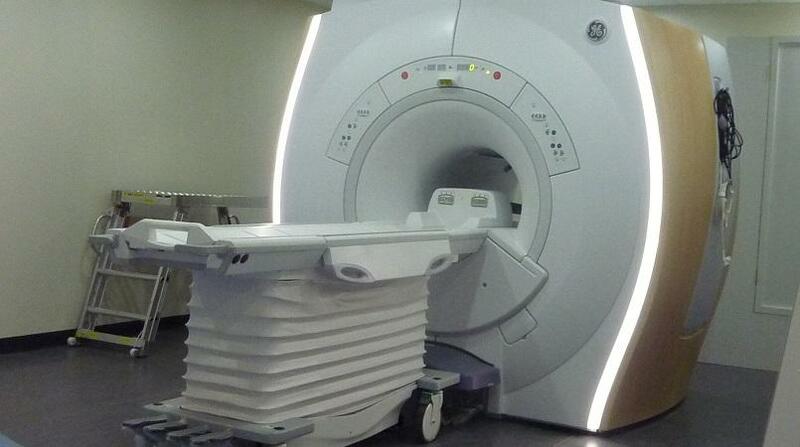 Radiation oncology registrar Dr David Kundi told The National yesterday that the machine was fixed last weekend. 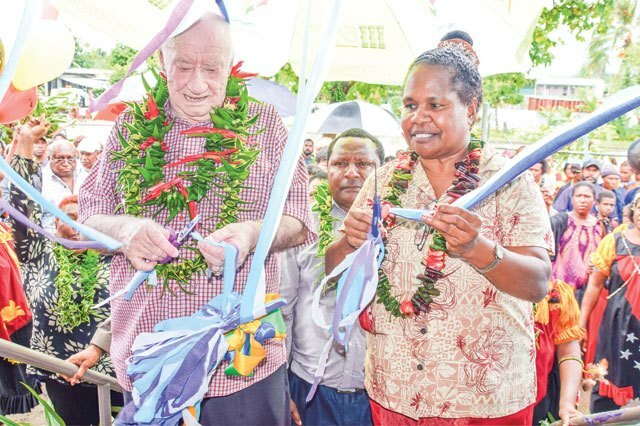 “It is the only machine serving more than 70 patients from around the country who seek radiotherapy treatment at the Angau Memorial Hospital in Lae,” Kundi said. 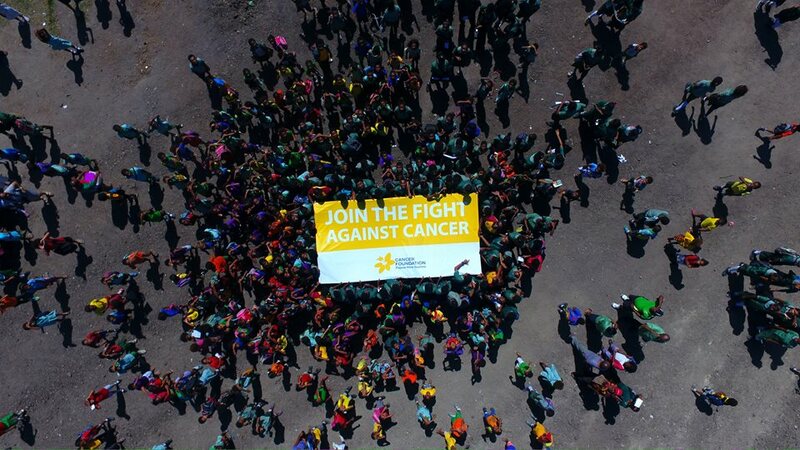 “We are currently treating 30 radiotherapy patients in the ward while another 40 are still on the list to get treatment and there are some from other provinces yet to be notified when to get treatment. Ambrose Kwaramb, manager for health facilities standard branch in Lae, said that it is the only radio therapy machine in the country. Catherin Koni, a patient from Mendi, underwent treatment on Monday after the machine was fixed. 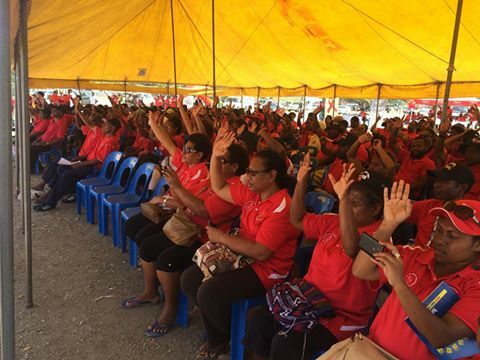 A declaration of the secret ballot results have been made known and members of the Papua New Guinea Health Support Workers Association (PNGHWA) have voted on an indefinite strike over pay and working conditions. This announcement of the secret ballot was done yesterday after the final counting of votes at the Electoral Commission office at Boroko in Moresby Northeast. According to PNGHSW general secretary Jack Suao, the secret ballot results showed that 1868 members voted in favor to go on strike while only 11 people voted not to strike. Mr Suao confirmed that out of the 3000 financial members of the association, 2000 members cast their votes and 14 provinces conducted the secret ballot. 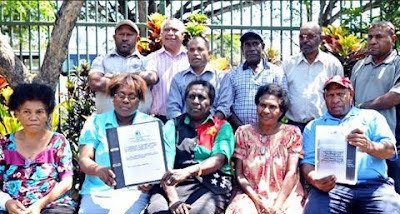 "We the executives of the Papua New Guinea Health Support Workers Association (PNGHWA) will now submit a one-week letter of notice to the chief executive officers of all provincial health authorities, Department of Personnel Management and the Chief Secretary’s office before proceeding for the strike action late next week. "The strike will proceed despite Personnel Management Secretary’s call for restraining order at the National Court," he said. He said a meeting will be held today to notify all health centre and hospitals to allow skeletal staff to man vital services while the majority of the workers are on strike. HEALTH Department plans to shift some of it responsibilities to National Capital District health services in preparation for the city’s Provincial Health Authority status. 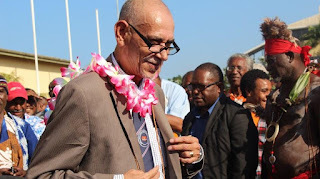 Minister Michael Malabag found the launch of the National Capital District five-year tuberculosis strategic plan 2016-20 an opportune time to make the announcement and praised NCD in its away forward with its plans to fight the dreaded disease. The provincial health authority is a unified health system that oversees management of health services. Currently the NCD health services come under the Health Department but under the provincial health authority arrangement, all NCD urban clinics would be transferred to the NCD health services with the new Gerehu Hospital as the flagship of the authority. Mr Malabag called for close collaboration with partners and public to fight TB because according to World Bank, loss of productivity attributed to TB was 4 to 7 per cent of some of GDP. 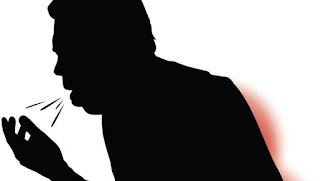 “Studies have shown that there is a strong association between high TB incidences and low gross national per capital income,” he said. He said that distinguished labour capacity leaves little room for economic growth and GDP expansion that a low middle-income country such as PNG so desperately needed. He agreed that cost of TB is a huge challenge. PAPUA New Guinea has a long history of accessing tuberculosis drugs with poor supervision. 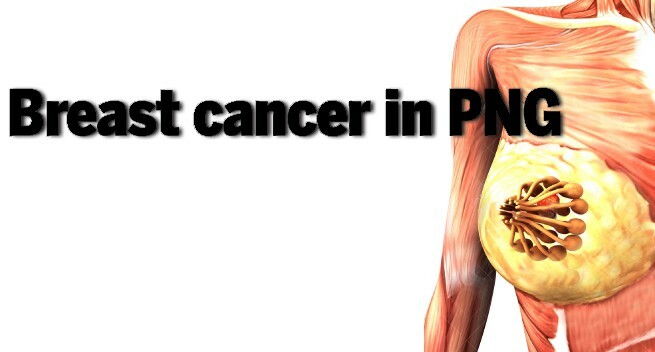 Large proportions of patients do not finish their treatment. This was a serious concern raised yet again yesterday at another campaign and this time, a bigger one to curb the spread of the dreaded disease TB. 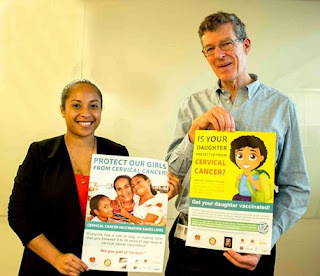 World Health Organisation country representative Dr Pieter Van Maraan and the Health Department Deputy Secretary Dr Paison Dakulala both say that PNG has never been able to control TB which has the potential to spiral out of control. 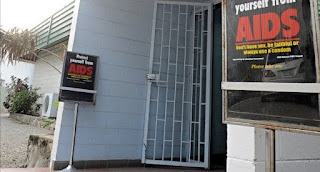 “Large proportions of patients don’t finish their treatment, poor quality diagnosis, limited capacity promptly to identity patients with drug resistance TB, overcrowded settlement and extreme poverty. All these factors contribute alarmingly to TB drug resistance situation in the nation’s capital and the country,” Dr Van Maraan said. 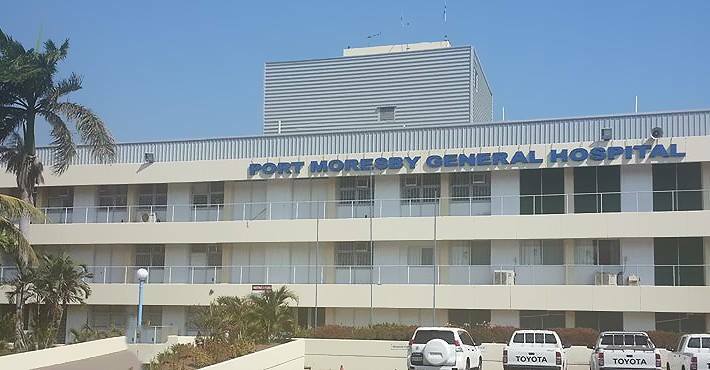 At the National Capital District Commission’s five-year TB strategic plan (2016-20) launch yesterday, it was reported that there are 384 reported cases TB of which 146 are admitted to Port Moresby General Hospital. Some have defaulted from TB treatment regime and pose danger to community and could not be reached by NCD TB surveillance team. NCD, like Gulf and Western, is hot spot for TB and concerns have also been raised that although the nation’s capital houses 5 per cent of PNG’s population, it has a quarter of TB challenge. Health Minister Michael Malabag and NCD Governor Powes Parkop launched the plan and pledged their support to fight TB. Separately, Mr Parkop said that while there was a lot of infrastructure development and law and order programs in the city, people need to take ownership of cleanliness but it starts with individual’s health. By doing so, TB could be eradicated. 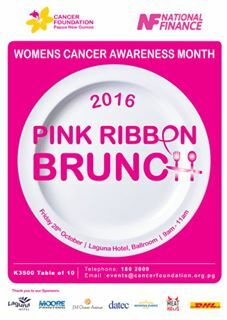 Other partners that pledged support are Australian High Commission and the US Government. 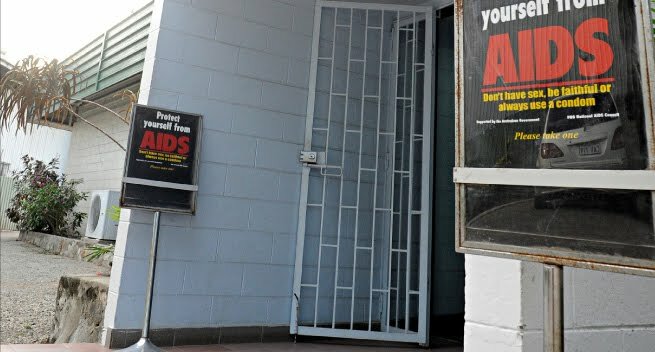 UP TO 10,000 people living with HIV (PLHIV) face an uncertain future and thousands of women and children will be exposed to health risks after the Australian Government announced it will discontinue funding for recipients of HIV and reproductive health grants across Papua New Guinea. 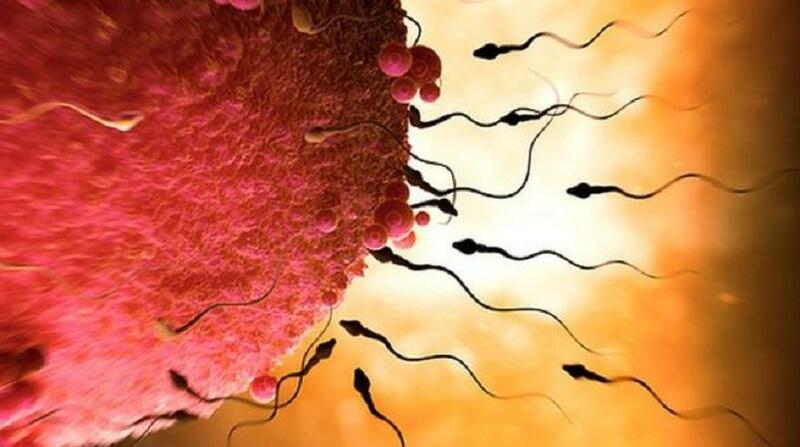 IT HAS been said, "Whatever there be of progress in life, comes not through adaption, but through daring." Henry Miller. It is this "daring" to believe that the people of Papua New Guinea should have access to as much medical intervention and technology available, not just what they have always used or had, that contributed to Vscan Pilot Project of the Papua New Guinea Tribal Foundation ("Tribal Foundation"). On September 12, 2016, Dr Glen Mola wrote an opinion letter regarding the Tribal Foundation’s VScan Pilot Project. This personal opinion letter was printed in the Yu Tok section of the Post-Courier, and unfortunately was grossly inaccurate. Dr Mola’s statements attempt to undermine the hard working professionals who are on the front line serving PNG’s rural population. Interestingly, Dr Mola has written opinions not based on any first hand experience with the Vscans. Our partners at the project hospitals and health centres cannot recall ever having a visit by Dr Mola, nor has he been involved in the project, so his information is significantly lacking and created from facts unknown to any of the participants in this progressive project. By way of background, the VScan is an innovative ultrasound device that was designed by General Electric (GE), especially for rural healthcare providers, and has in fact been introduced in other developing countries with great success. The VScan is designed to enhance capabilities of properly trained healthcare providers and is portable, robust, and relatively simple to use. 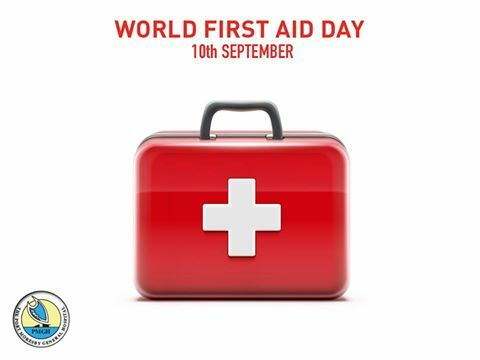 It is especially useful for assessing pregnant women, but is also quite capable of detecting bone fractures, internal bleeding, and other ailments often treated in rural PNG. GE donated the use of eight VScan Units for a two year pilot project the Tribal Foundation has been conducting in partnership with the Enga Provincial Health Authority. Mola’s suggestion that Tribal Foundation placed the "medical toy" in the hands of untrained HEOs who are now "keeping them in their houses where they are used to perform private scans" would be laughable if it were not such an insult to General Electric, The Tribal Foundation, Enga Provincial Health Authority, the five local doctors (one is a surgeon) two midwives, two well trained HEOs, and a missionary nurse, who are directly involved in the project. 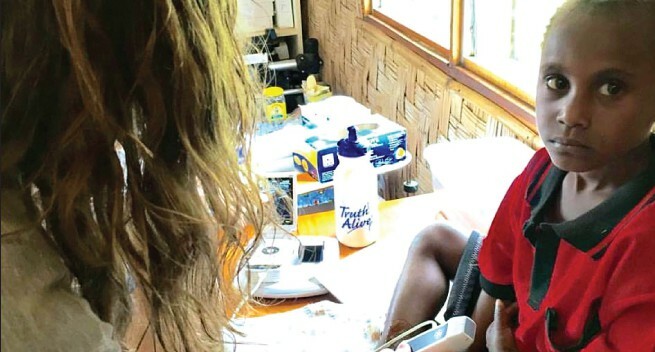 His letter was also an insult to Tribal Foundation’s own medical directors and global health experts, Professor Hauswald (ED Physician) and Professor Kerr (OB/GYN Physician) who both spent a month in Enga Province last year introducing the project and providing training to the healthcare providers. As a matter of policy, the Tribal Foundation always seeks to place Papua New Guineans in charge of our projects, and provide international support when needed. In the case of the VScan Pilot Project, we placed a local doctor in Enga in charge of the project, supported by a local health administrator, and further supported by our medical directors, Drs Hauswald and Kerr. 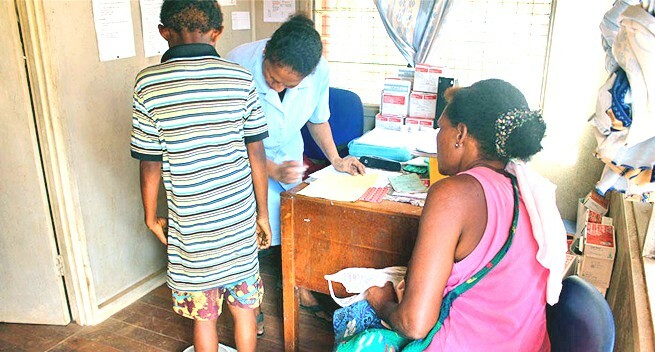 The two-year pilot, or test, project has already proven to be a success, and we recently received a report from Drs Hauswald and Kerr from their one year follow up visit to Enga Province, that detailed how the VScan has enhanced services and saved lives. GE has also recently sent members of their organisation to assess progress. As should come as no surprise, additional training was identified by both Tribal Foundation and GE. When there is a taste of positive results and what a piece of technology such as the VScan can provide to the people of Papua New Guinea, of course a natural reaction is "how can we do more with this device?" Towards this end, ongoing training has always been a part of the pilot project. Long before Dr Mola’s "opinions" both GE and Tribal have planned to provide additional training this year. Furthermore, the local healthcare providers have given feedback to GE on how they can improve the VScan to make it more usable, especially while on patrol. Last week I completed my own follow up visit to Enga Province where I met with healthcare providers who are quite happy with the VScan, and reported that it has greatly improved their ability to assess patients. An unexpected benefit is that fathers are attending prenatal visits with their wives so they too can see their unborn children and as a result of this experience, are reported to be more supportive during pregnancy. I also met with Mr Aaron Luai, CEO of Enga Provincial Health Authority, as well as Governor, Sir Peter Ipatas, who are both quite pleased with the project and the successes todate. A few days after Dr Mola’s misleading letter to the Post-Courier we received this photograph and brief report from a missionary nurse who is using the VScan at a remote clinic in Gulf Province that the Tribal Foundation supports. 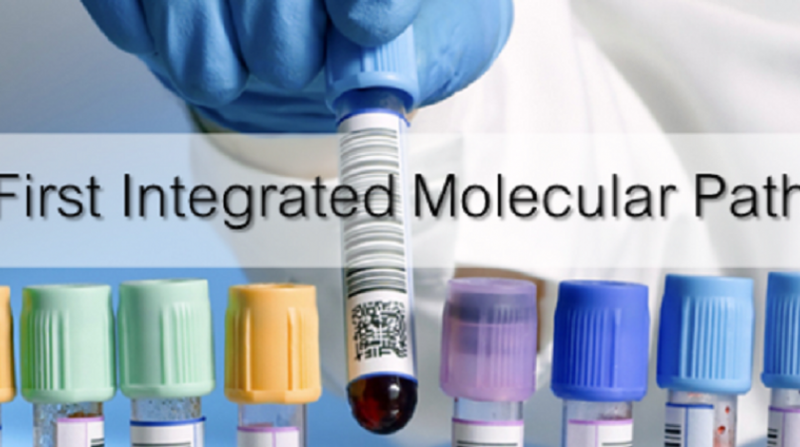 "VScan by GE has improved our care of patients! Yesterday we visualised a shattered ulna, broken radius, and today ruled out a broken leg. 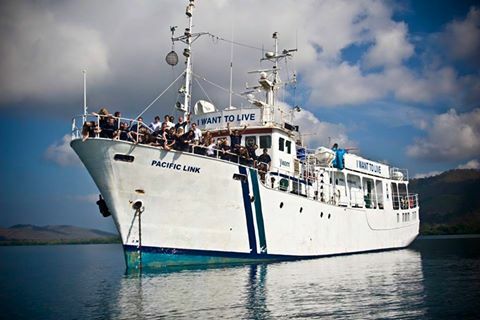 Thank you PNG Tribal Foundation." I have found that new ideas are sometimes difficult and threatening to people. I recall when I was the president of Samaritan Aviation and my team and I were setting up the floatplane operation in the East Sepik Province. A few old timers from PNG’s aviation industry said a medical floatplane operation would never work. They soon became silent once the first lives were saved and later became supporters when the operation was proven to be a success. Just like them, Dr Mola is welcome to his own opinion, but he is not welcome to make up his own facts about Tribal Foundation’s project. 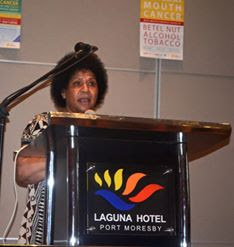 My mother is a nurse who served rural PNG as a health professional for twenty-five years. I grew up playing around remote health centres where my mother treated many patients. She is retired now but when she learned of the VScan she said; "I sure wish we had that device back in my day. It would have saved a lot of lives." The Tribal Foundation is not new to rural health and has provided millions of Kina in medical supplies to PNG’s rural health centres and hospitals. Rather than taking pot shots from the comforts of Port Moresby (maski lo gespaia nabaut) we suggest Dr Mola go on patrol with some of the dedicated and welltrained, local healthcare providers whose ability and integrity he publicly questioned. What he will find is hardworking professionals, with very few resources,who are out sacrificing every day to serve PNG’s rural population. With the VScan, they now have a tool that has already proven to be useful. This project is not about "medical toys" it is about saving lives and contrary to Mola’s misinformation, lives are being saved. The author is the president of the non-profit organisation PNG Tribal Foundation. THERE is no available vaccination for dengue and zika viruses globally, according to the Health Department. 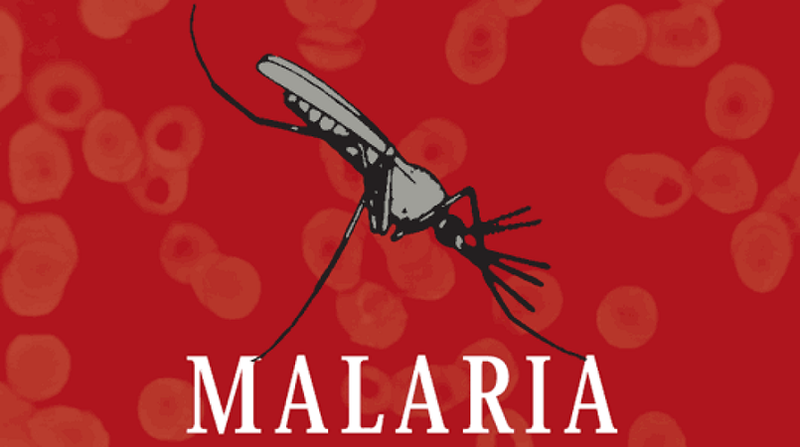 Retesting by the Institute of Medical Research (IMR) concluded that zika has been in the country since May last year at least, but never been diagnosed, Health Department secretary Pasco Kase said. 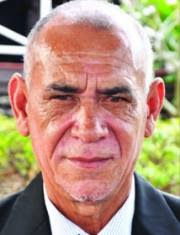 Kase said that at a media conference in Port Moresby yesterday. “There is also no outbreak in PNG like the kind being experienced by other countries, particularly those in South America,” Kase said. He said the Health Department had conferred with the Institute of Medical Research (IMR) that retested some blood samples from patients with fever symptoms since 2014. “The conclusion was that Zika has been present in PNG since at least May 2015 but has never been diagnosed,” Kase said. He said there were also no detected cases of Zika in the city. Kase has called on everybody around the country to make sure that their backyards were cleaned and not breeding mosquitoes. “Old tins, cans, water bottles, tyres and other rubbish around your house should be thrown away,” he said. Kase also called on health authorities to lead as an example and clean their backyards. MORE foreign doctors will be recruited to cater for the current shortage in the country, Health Department secretary Pascoe Kase says. 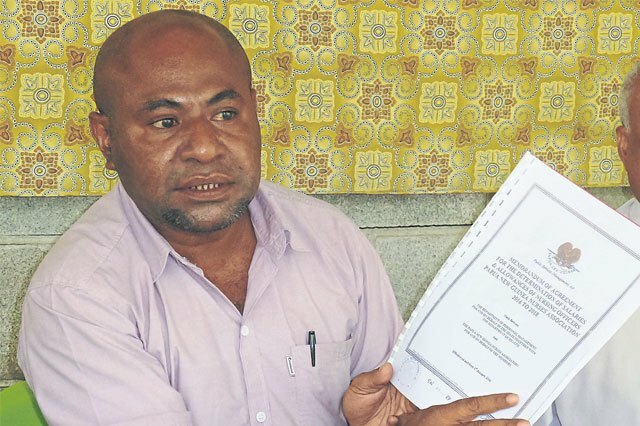 He said the University of Papua New Guinea (UPNG) School of Medicine was not producing enough doctors, forcing the department to recruit foreign doctors as an interim measure. 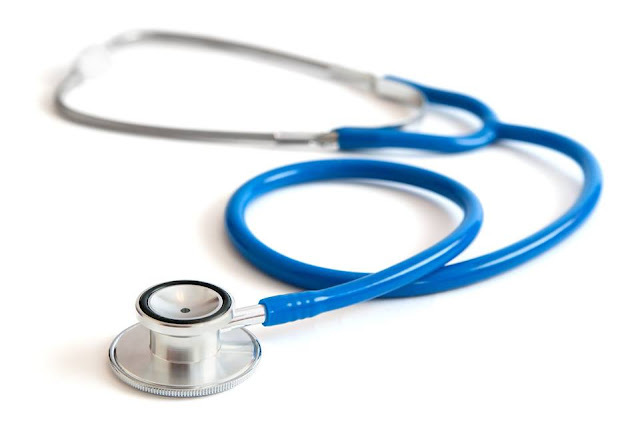 “We have been recruiting doctors from overseas for many years but we want to increase the numbers to help the critical shortage,” Kase told The National yesterday. He said the department was working with the UPNG to advocate for good funding to educate more doctors. “We want the university to increase their capacity to train more doctors,” Kase said. “So this means that we have to go abroad and engage nurses and doctors to come and help out in our hospitals and deliver health services to our people while we negotiate for more money to build up the capacity of the university to train more doctors. He said nursing schools came under the department so it was easier to allocate funds. 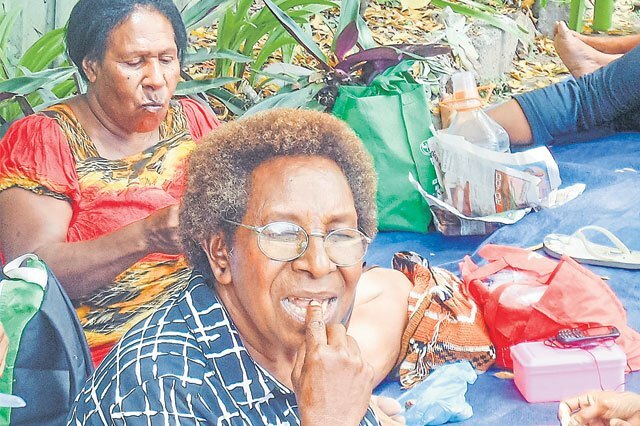 “But the university’s medical school does not come under the Health Department, it comes under University of PNG council and they manage their budget through the university council,” Kase said. “So we in Health would very much advocate for them to be funded a bit more so that the capacity of the medical school can be increased to take more students, maybe a hundred or even 200. 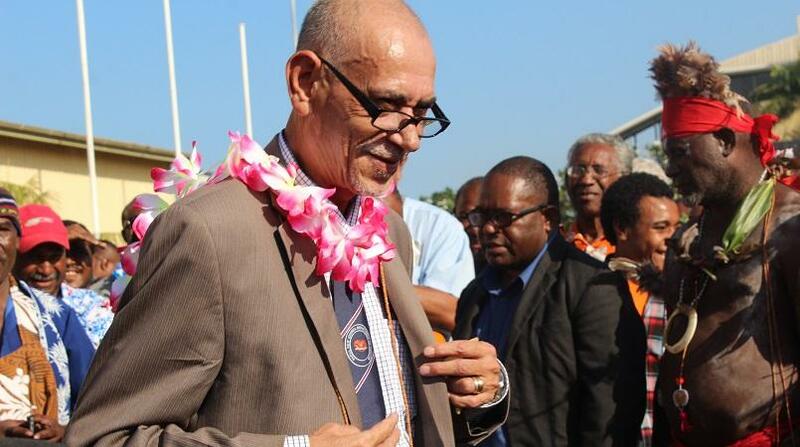 Kase said a technical team would be sent to Cuba or India where PNG could engage doctors that were trained under the British system and who understood the country’s needs.